Apologies that this website hasn’t been updated in recent times. I will endeavour to bring it up to date asap. In the meantime, please join us on facebook at Headford Environment Group. Come and join the environment group for a stroll down Sandybanks Lane. Come along on Saturday and find out about the birds we are likely to hear around now. Then join us for our Dawn Chorus the following morning at 5.30 am at Greenfields, Headford. We are hoping to beat the total of birds identified last year. Fans of RTE’s Eco Eye will have followed Liam around the country on his bicycle last year, as he set about exploring our SACs all over the country. The aim of his Wild Ireland Tour was to show us a positive story of our wildlife and highlighting just how valuable these areas are to us. Now Liam has been invited to Headford to tell us about his journey and share his exploits along the way. Headford Environment Group have asked Lysaght, Director of the National Biodiversity Date Centre to talk on Wed 18th March at 8pm, as part of their Spring talk series taking place in the Anglers Rest Hotel, Headford. He will be showing slides and no doubt telling stories about his experience in an effort to encourage more of us to value the areas of Ireland which are designated as being special areas of protection or SACs. All welcome. As usual entrance is free, but all donations are gratefully received. 18th March @ 8pm in Angler’s Rest Hotel, Headford. Here’s our press release about our latest event. Please sign up and come along…. climate change to the people of the West of Ireland.” It is designed so that local people, not just academics, can come and listen to what our scientists have to say and find out less reported facts, such as the effects on our biodiversity. Speakers include Prof John Sweeney, who will give a global overview and predictions regarding the West of Ireland, John Gibbons who will talk on the political commitment to addressing climate change and Anja Murray discussing the effects of climate change on our biodiversity. Entitled Climate Change and the West of Ireland, Global Perspectives – Local Solutions, the conference will aim to connect with farmers, homemakers, young people and our elders, anyone who wants to find out what we can expect to happen to our climate. However the group doesn’t want it to be all doom and gloom. “We also aim to highlight what we can do about climate change, as individuals and as a community”, says Venetia. “We hope to finish the afternoon by inviting some local people to tell us what they are doing in their own lives to combat climate change or create a sustainable lifestyle, and share their ideas with us”. The event will run from 10.30am until 4.00pm and will be held in St Fursa’s Hall, Headford (opposite Joyce’s) on April 16th. More details can be found on Facebook ‘Headford Environment Group’ and our event page Climate Change and the West of Ireland. The event is funded by Agenda 21 funding and is free to all, but the group is asking you to sign up in advance where possible so that they have an idea of the numbers. ‘Dermot Breen, Conservation Ranger with the National Parks and Wildlife Service, will give a talk on the Connemara Raven on Wednesday 11 November at 8pm, in the Anglers Rest Hotel, Headford. Dermot has been monitoring breeding Ravens in the Connemara area for several years now. Part of this monitoring work includes visiting Raven nests and placing colour rings on the chicks so that they may be identified later on in their lives. This promises to be a very interesting evening with some great photos and we are really looking forward to it. Spring is nearly here, and so are our Spring Talks! 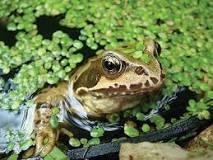 As more and more habitats for our native flora and fauna are lost, gardens are becoming important havens for wildlife. 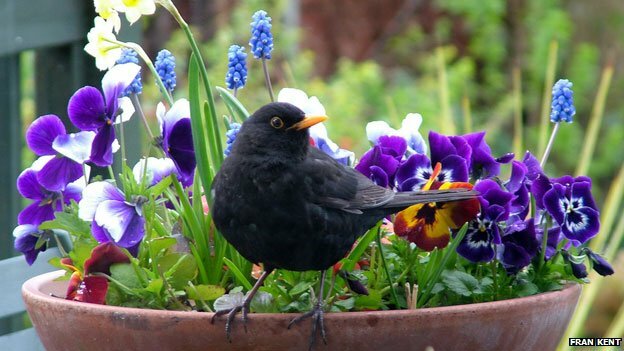 This illustrated talk will show how to make a beautiful garden that is also wildlife friendly and how to garden in an environmentally sustainable way. Topics will include selecting suitable plants to attract insects like bees and butterflies, how to make a bird-friendly garden and how to include meadows, ponds and hedgerows in a garden setting. Kay Synott (http://www.livinggardens.ie) is a qualified horticulturalist, school gardening specialist (working under the ‘Heritage in Schools Scheme’) and garden designer with a particular emphasis on organic and wildlife gardening. Kay has won several awards for her school garden projects. She gives gardening courses and workshops and is also involved in community garden projects and environmental education in County Galway and City. She is a member of the Brigit’s Garden environmental education team working mostly with primary school children. Hope you can make it along! All welcome! Admission is free, but as usual we would welcome donations. Headford Environment Group to Host a Talk by Well-known Ornithologist, John Lusby. The locally-based environment group has been working in Headford for 4 years now, and aims to increase environmental awareness and appreciation of our natural heritage. “While we normally hold a series of talks in the Autumn, this year‘s three biodiversity signs and Golden Mile entry have kept us extremely busy” said Venetia McEllin, a member of the group. “However, we are delighted to welcome back one of our most popular speakers for December”. John Lusby, a conservation officer with Birdwatch Ireland, who is most known for his work on RTE Radio 1, drew a large crowd of all ages when he last visited Headford. This time he will be speaking on the raptors of Galway, “From Falcons to Owls”. John Lusby’s talk takes place on Thursday 4th December at 8pm in the Angler’s Rest Hotel, Headford. Everyone is welcome, there will be a raffle on the night, and while admittance is free, donations towards the group’s work will be very welcome. Gordon D’Arcy, author, artist and environmentalist, will officially launch a Bird Identification Sign on Sunday 11 May at 7.00 am, following a dawn chorus walk, starting at 5.30 am, at Greenfield, Headford. This sign was planned by the Headford Environment Group. following a most enjoyable dawn chorus event at Greenfield in May 2013, when a total of 33 different species of bird were identified. The sign depicts and describes 21 species of bird which may be seen at Greenfield. “The aim of the sign is to raise awareness and provide information about the rich bird life and biodiversity in the area” said Dr Kate McAney of the Headford Environment Group, “and we are delighted to have Gordon D’Arcy coming to mark the occasion”. The sign also features information on fishing at Greenfields, a description of the bird life to be found, and personal recollections of life on Inchiquin before the Causeway was built in the 1960s. This project is part funded under Galway County Council’s Local Agenda 21 Environment Partnership Fund 2013. Refreshments will be available for all those brave souls who set the early morning alarm to come and join us. Our second talk of the 2014 Sprng Series of lectures will be given by Sindead Ni Mhainnin, Environmental Awareness Officer at Galway County Council. It will focus on areas such as waste reduction, composting, refrigeration, energy consumption etc. and will show us how to become greener in the home. This will take place on Wed 26th March ’14 at 8pm in the Angler’s Rest Hotel, Headford. We hope you will be able to attend and look forward to seeing you there. As usual, donations will be welcome at the door. Galway Birds: Seen, photographed and videoed in Galway. Tom Cuffe is a Heritage Specialist with the Heritage in Schools Scheme. Bring avian fauna to the national schools of county Galway for the past 3 years. He has a large collection of bird photographs and videos all taken in Galway over the past 15 years. This will form part of his presentation. Tom is an avid bird watcher since an early age when he was in the cub scouts. He leads bird watching walks for Bird Watch Galway on a monthly bases at Nimmo’s Pier. He has given numerous talks and walks all around Galway for a wide range of interest groups. This talk will take place in the Anglers’ Rest Hotel, Headford on Wed 19th February at 8pm. Entry is free, but donations, as always, are welcome.